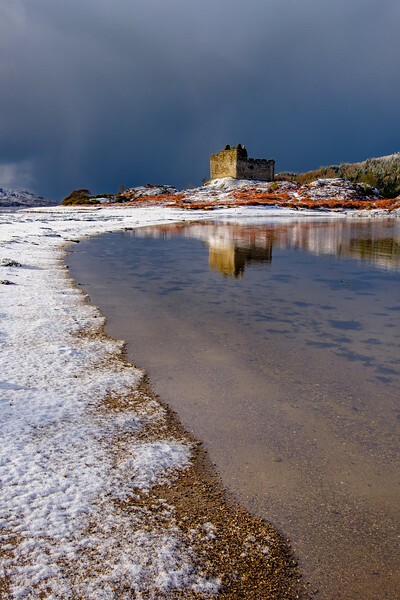 A fresh fall of snow at high tide meets the sea on the sandbar causeway that leads across to Castle Tioram. 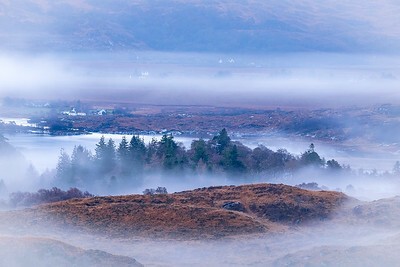 The peaks and trees of Eilean Shona and the houses of Shielfoot appear from the morning mist as it begins to clear from the hills around Loch Moidart. 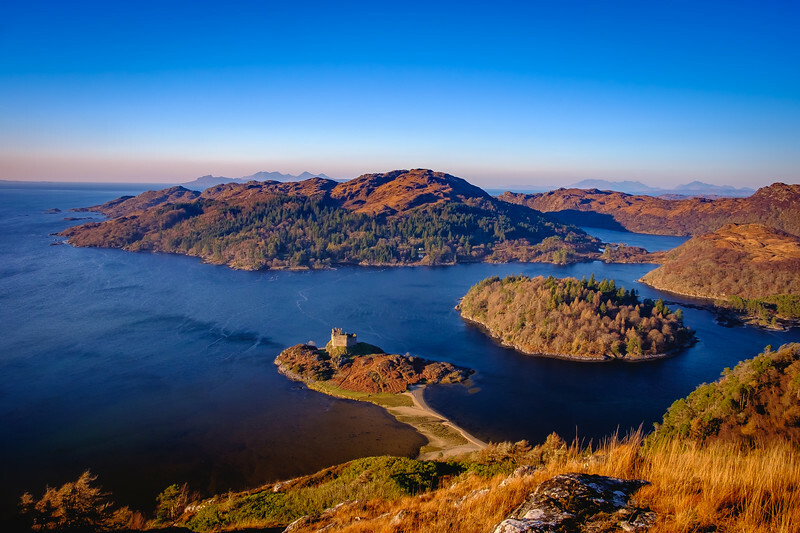 The view from Cruach nam Meann, over Castle Tioram and down the South Channel of Loch Moidart with the Small Isles of Muck, Eigg and Rum on the horizon to the west and the Isle of Skye to the north west. 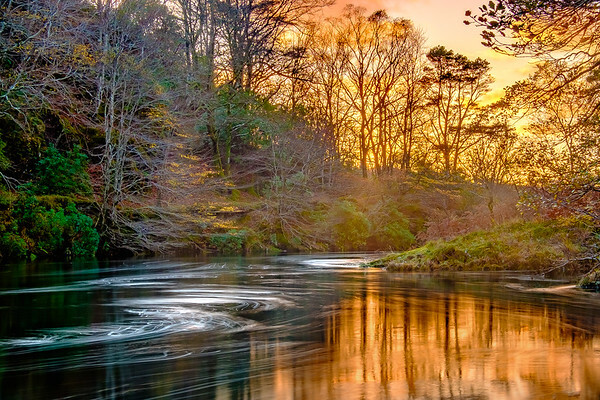 The view north west from Cruach nam Meann, over Castle Tioram, across Eilean Shona to the Small Isles and the Isle of Skye on the horizon. 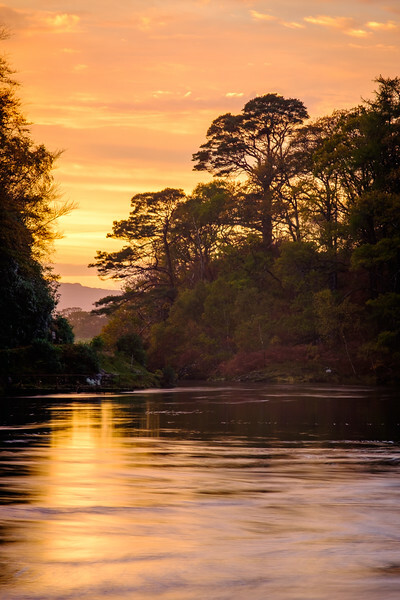 In late October, the sun sets out beyond the end of the River Shiel as it flows from the old Shiel Bridge at Blain and often paints both the sky and the river with fantastic colours. 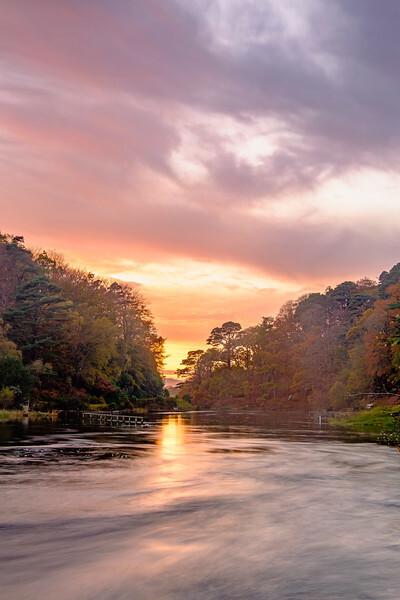 The Isle of Muck, set against a backdrop of pink light from the late evening sun, while crepuscular rays pierce through breaks in the cloud above it. 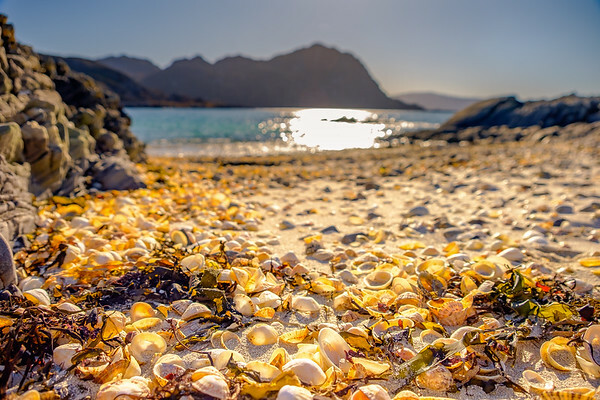 The lovely white sands beach near Smirisary, made up of the remains of coral and shells all washed up on the sea shore. 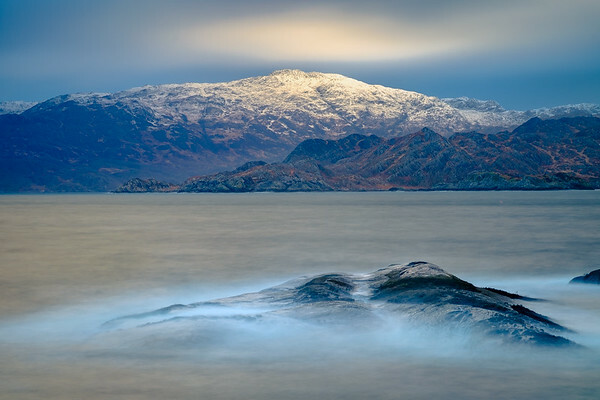 On a blustery winter’s day, waves crash on the rocks at the entrance to Loch Ailort and rays of light break through fast moving clouds to light up the peak of Sithean Mor, behind the westernmost point of the Ardnish Peninsula. 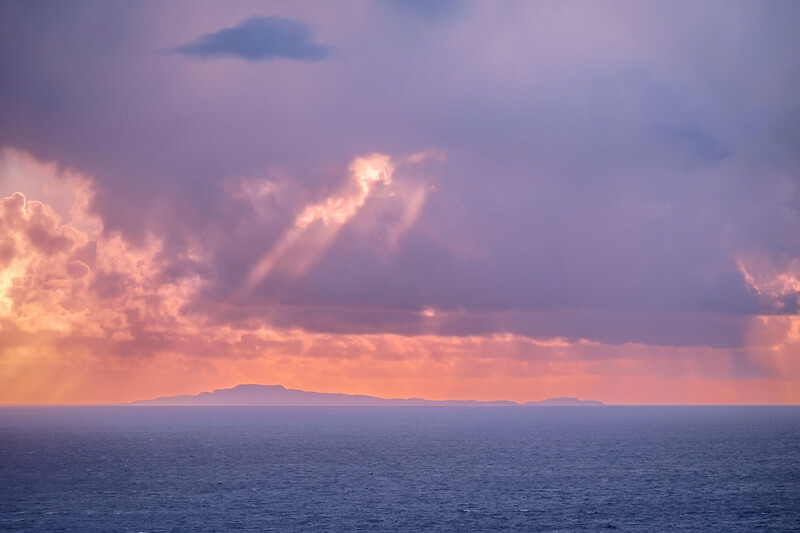 Dawn light breaks thorugh the clouds over the Small Isle of Eigg. 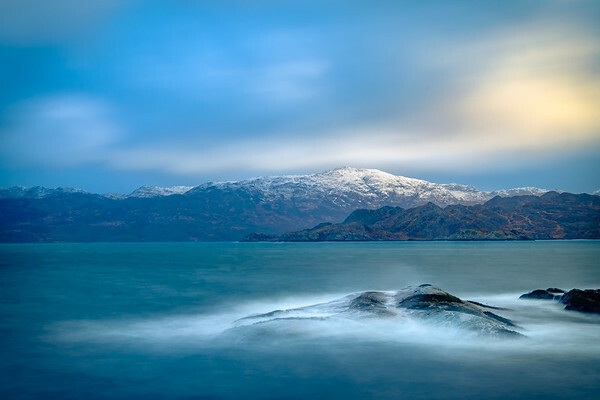 Looking out over a stormy Sound of Arisaig in the Blue Hour of a windy winter's morning. 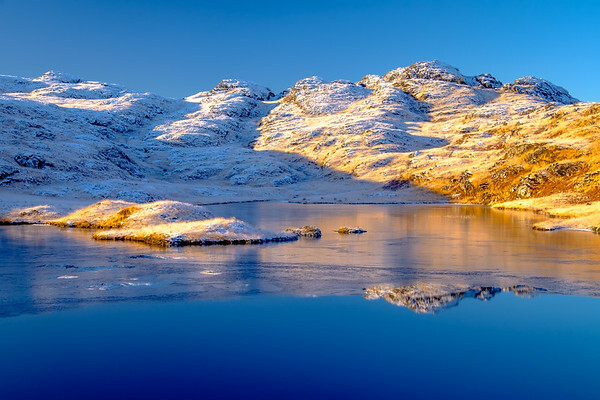 A calm, crisp winter's afternoon in the hills above Blain, where the peaks of Beinn Gheur were reflected beautifully on the surface of a partially frozen Lochan Blain. 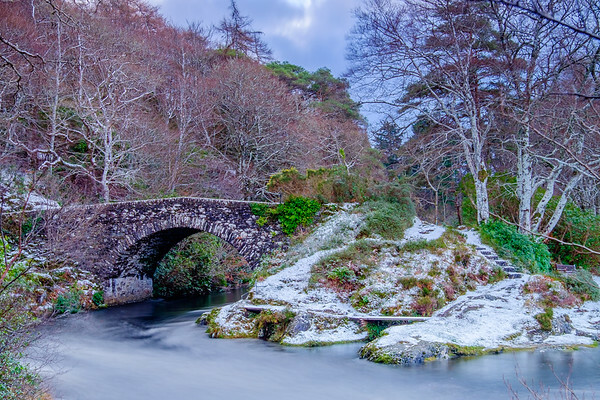 The old Shiel Bridge sits in a landscape covered by a light dusting of snow on an early December afternoon. 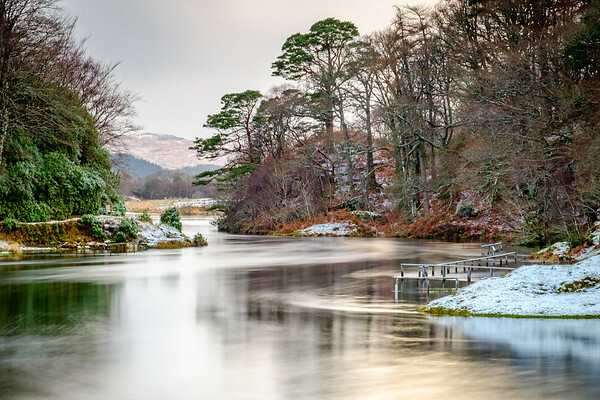 A light dusting of snow on a day in early December covers the banks of the River Shiel at Blain. 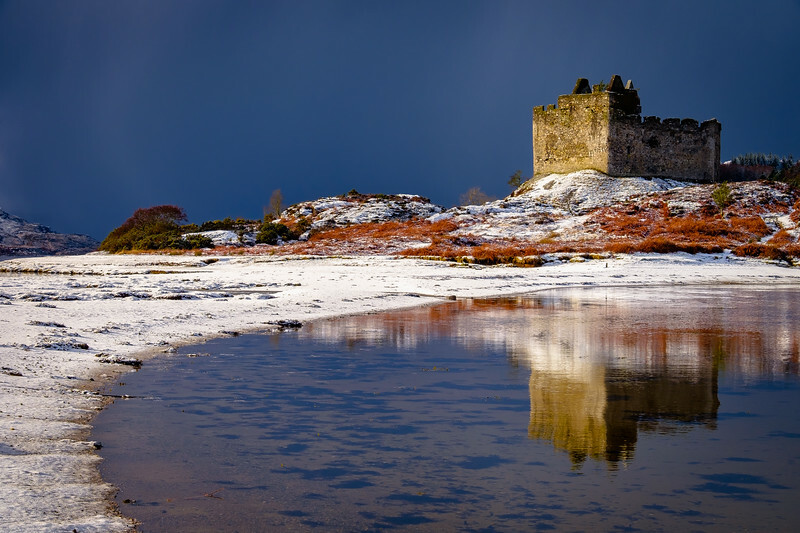 At the time of the supermoon of January 2018, the tide was high enough to completely surround Eilean Tioram (the Dry Island), cutting off Castle Tioram from the mainland. 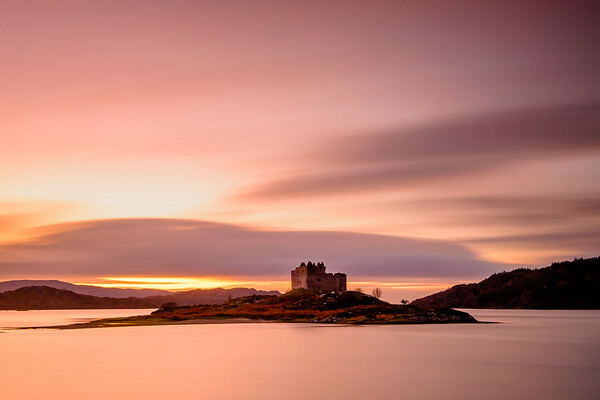 Castle Tioram sits proud on Eilean Tioram (the Dry Island), guarding the entrance to Loch Moidart’s South Channel out on the horizon, where the setting sun lights up the sky and adds colour to the otherwise grey and brooding clouds of a clearing storm.